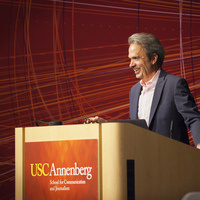 USC Center for Public Relations Director Fred Cook will present highlights of the 2019 Global Communications Report. A panel discussion on the use of technology in PR will follow. Welcome reception at 5:00 p.m.